Apple rolled out its latest iOS 7.1.2 update for iPhone, iPad, and iPod touch earlier in July. As usual, this was just an iterative update to bring in some bug fixes and improve performance. However, quite a huge number of users are complaining about an intensive case of bad battery life after the upgrade along with contacts synchronization problem. While we have already shared a guide with you on how to fix iOS 7.1.2 bad battery problem, this one will cater to the second issue. For many users, iOS 7.1.2 update not only messes up with iCloud synchronization but some users are also complaining about missing contacts. If you too are one of such users, here is how to fix iOS 7.1.2 contacts problems. This tutorial will also help you in restoring all the contacts. While many believe that these problems come from iCloud and the syncing of the contacts, it seems to be an issue with iOS setup and quite easy to solve. The problem is not anything to do with iOS 7.1.2 code and is not an actual bug. After upgrading to the latest iOS update, a small setting change occurs messing up your contacts storage. This happens because after the upgrade your phone starts saving contacts locally on the device and not on the cloud. 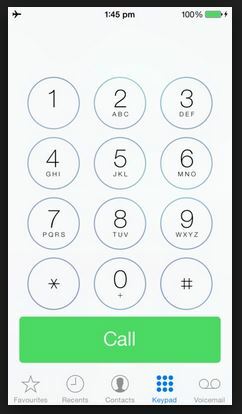 Here is how to simplify this and fix iOS 7.1.2 contacts troubles. Tap on Default Account and enable iCloud to ensure synchronization. This will make sure that all the new contacts that you enter are also synchronized over the cloud. Now on the damage control part: if you are missing contacts after the update and are unsure which ones are missing so that you could enter them again. For that you will have to go to your Phone app and from groups, uncheck All iCloud to ensure that only locally available contacts are shown. This will show you the contacts that are locally available but missing on iCloud. Re-enter them again but before that make sure to check the iCloud again so that you never miss contacts synchronization again.